DARK SACRED NIGHT. By Michael Connelly. Little, Brown. 433 pages. $29. 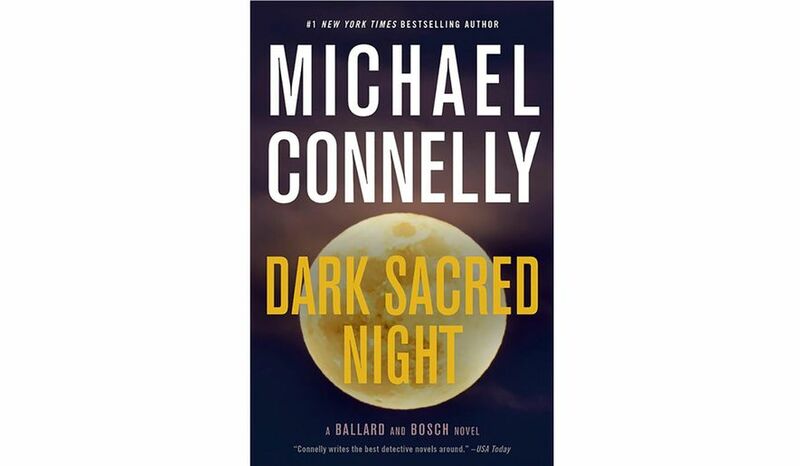 It’s fitting that Rene Ballard and Harry Bosch share a book. 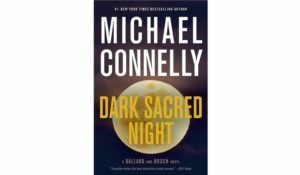 She’s the latest Michael Connelly character with one book under her belt, and Bosch has more than two dozen. They’re both cut from the same creative cloth Connelly has been weaving for years. In fact, if you take out the name in certain passages, as the narrative shifts back and forth between them, you can’t tell which one Connelly is talking about. “… had never been the kind of detective who could leave the work in a drawer at the end of shift, “ in one chapter. “… operated according to the axiom that everybody counts in this world or nobody counts,” in another. In other words, this latest book is double-barreled Bosch, with a twist. When Ballard catches Bosch snooping around the Hollywood LAPD station, she finds out he is working a cold case, a young girl whose mother he’s sheltering for the time being. She’s been shunted to the “late show,” the night shift, since she filed a harassment complaint against her last supervisor, and lost. Bosch, who makes more on his pension than she does in salary, is working for free at the San Fernando Valley Police Department. Ballard decides to help him out. And therein lie two tales that come together at the book’s conclusion, as they work their regular cases, and then the cold case as time allows. Connelly fills the narrative with police procedure, as two detectives ply their trade. The detail serves as counterpoint to the constant decision by these two mavericks to get around procedure. In both cases, their decisions lead to crises requiring the other one to come to the rescue. There is chemistry here, between the two detectives, and in Connelly’s writing. At the end of the book, they shake hands and go their separate ways. Here’s betting they’ll be back together sooner or later. This entry was posted in Police procedural, Popular fiction and tagged Bosch, Los Angeles fiction, Michael Connelly, police procedural. Bookmark the permalink.